Joyful Noise is a band that leads worship at four services each month. 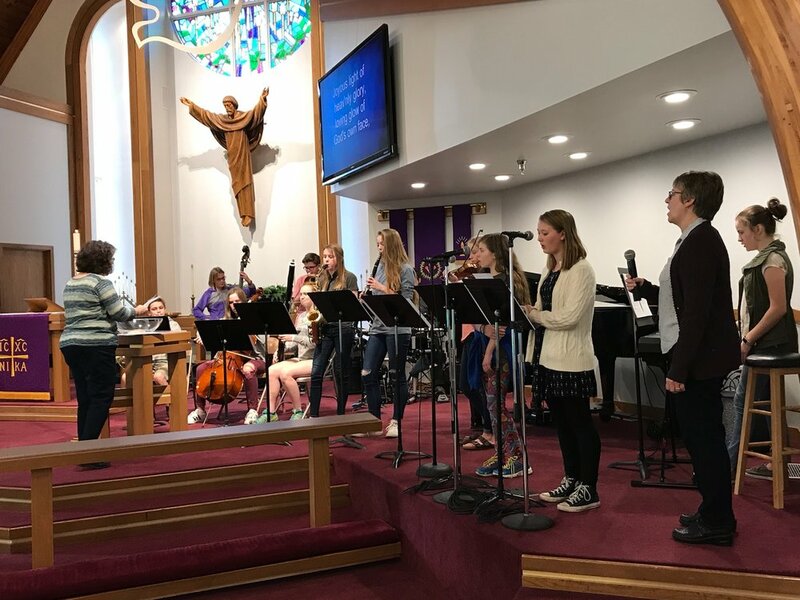 They provide musical leadership for both services on the second Sunday and for a Saturday and Sunday service on the fourth weekend. The band plays a variety of music including contemporary, gospel, world music, and hymns. Rehearsals are from 6:30 - 7:15 p.m. on Wednesday nights. This group provides music for the Wednesday evening services. 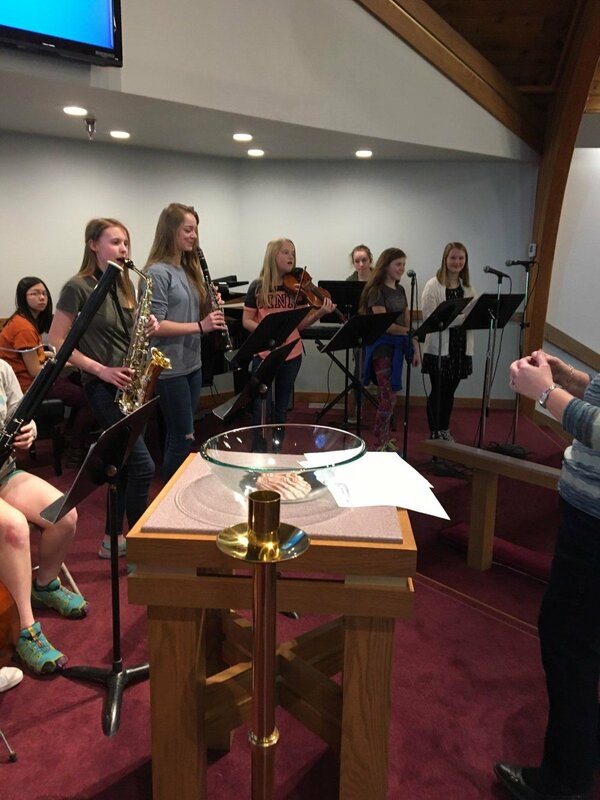 Open to Middle - High School students who sing or play an instrument, we meet Wednesdays at 5:45 to play for the 6:00 worship service. Interested students should contact Ellen Shirley for music.